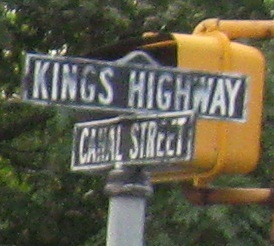 Just north of the beginning of the route in Westport, where Kings Highway turns off and CT 57 continues straight onto Canal St. thanks to reconfiguration of the intersection. SB under the Merritt Parkway, CT 15. CT 57 NB turns left as CT 53 NB bears right. 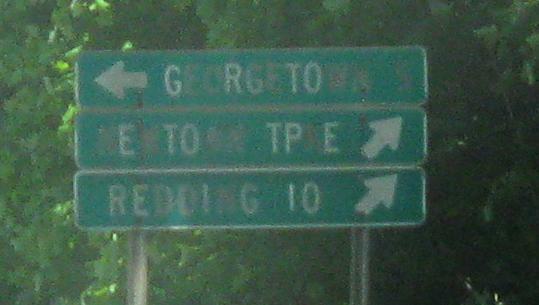 Not pictured is the sharp-angled left that is the other direction of Newtown Tpk. 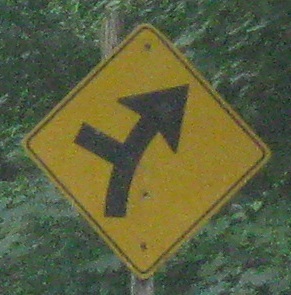 Old CT-style curve, heading south from US 7.